This one carat diamond engagement ring has an enchanting halo of round diamonds around a dazzling center stone. 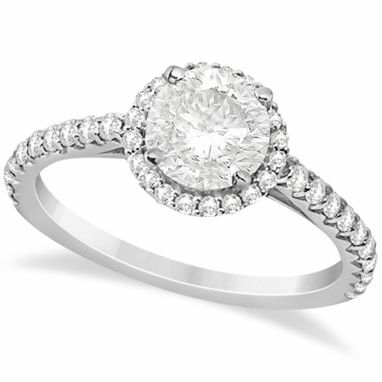 Approximately 1.00ct of diamonds make this a ring she'll love. 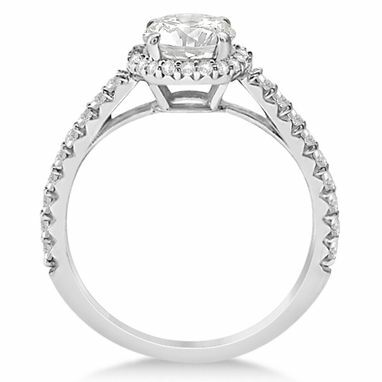 Thirty four ideal cut diamonds make stunning accents around a near flawless round diamond center. Crafted with 14K white gold, this round cathedral halo diamond engagement ring with magnificent side stones is sure to please. 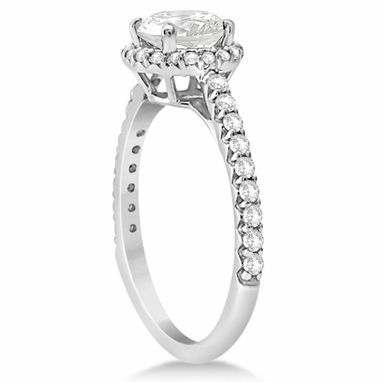 Contact us to customize this gorgeous engagement ring with different carat weights, metals and free engraving. Additional costs will apply for carat weight and metal customizations.